Chocolate Covered Gummy Bears. Chocolate Store, the online candy store with chocolate and candy. 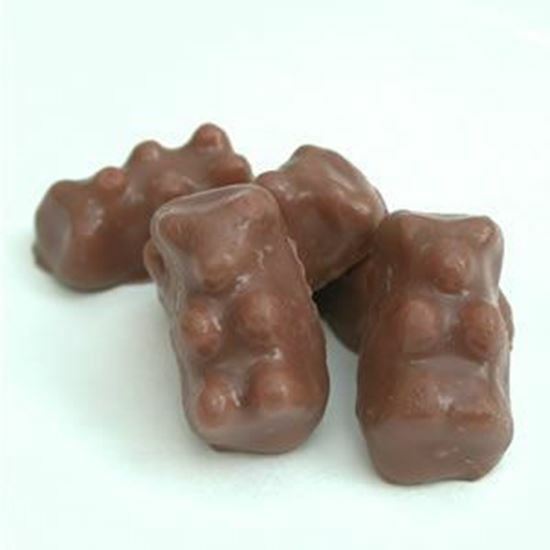 Chocolate Covered Gummy Bears – Do you have any idea how hard it is to get little gummy bears to lie down on a belt so they can be covered with chocolate? Well…we do, but we finally have them co-operating. The end result is a strangely addictive combination of flavors. Try them …you’ll like them.